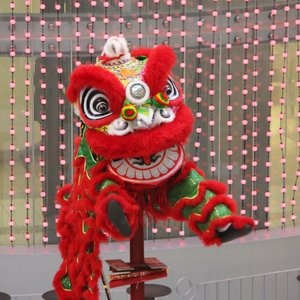 To celebrate the Lunar New Year, Metropolis at Metrotown will be hosting over 2 weeks of family-friendly festivities to usher in the Year of the Pig. Starting February 1, Metropolis at Metrotown's Grand Court will be the home to a large Instagram-worthy lantern display. Hundreds of lanterns will be the backdrop for beautiful photos visitors can take with their family or friends! As well each weekend, Metropolis will be hosting a series of activities including Chinese Calligraphy and Lantern Making, Traditional Chinese Dance performances, and a Travel through Asia photo booth. With the New Year tradition of red envelopes, Metropolis will be giving away lucky red envelopes throughout the day to visitors in Grand Court February 4-6, with a chance to receive a Metropolis at Metrotown gift card or other prizes. Lunar New Year isn't complete without a traditional lion dance on February 6, arriving in Grand Court at 10am and proceeding through the mall to provide the stores with its lucky blessings. From February 1-19, visitors can also enter for a chance to win a $1000 Metropolis shopping spree. Ahoy Matey Ye Be Looking for a Birthday Party? Fraser Academy: Success Begins After 3!